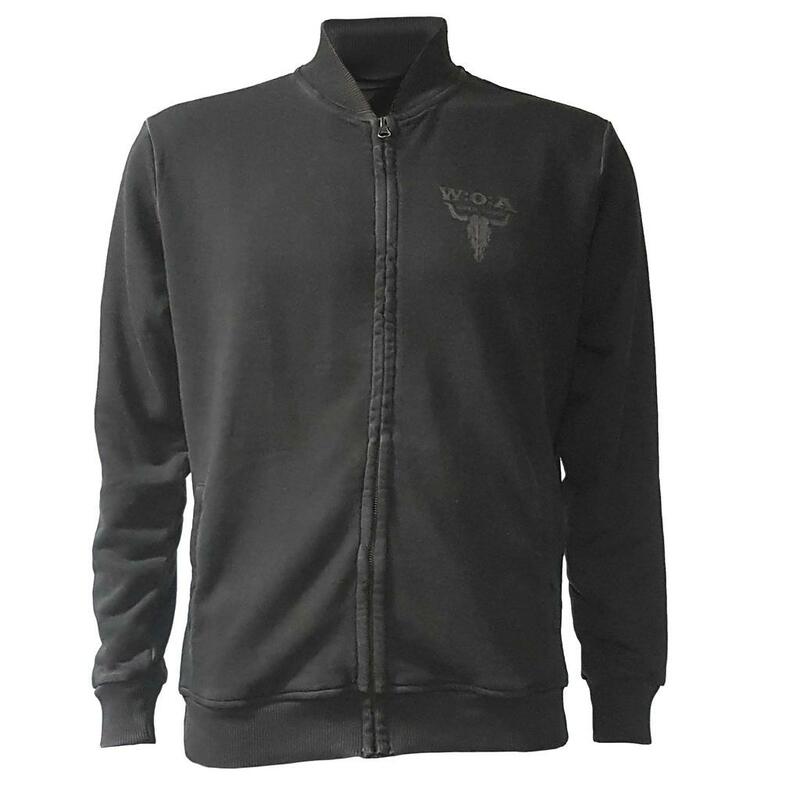 For all those who like it a bit more plain: the blackish grey W:O:A jacket made of 65% cotton and 35% polyester has a subtle W:O:A Estd. 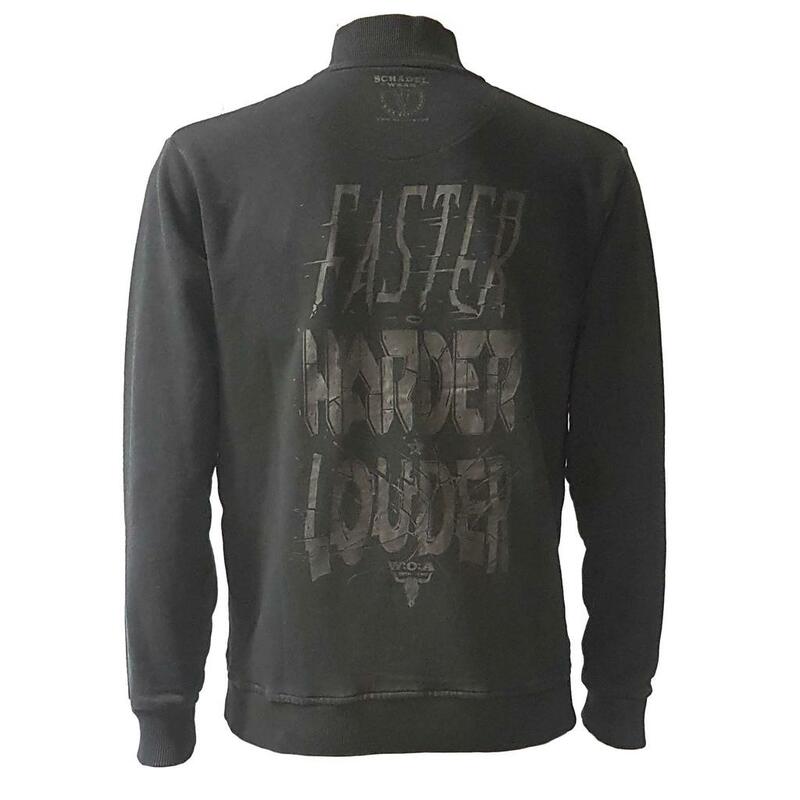 1990 logo on the chest, the back side is printed with the famous slogan "FASTER, HARDER, LOUDER" in decent color. 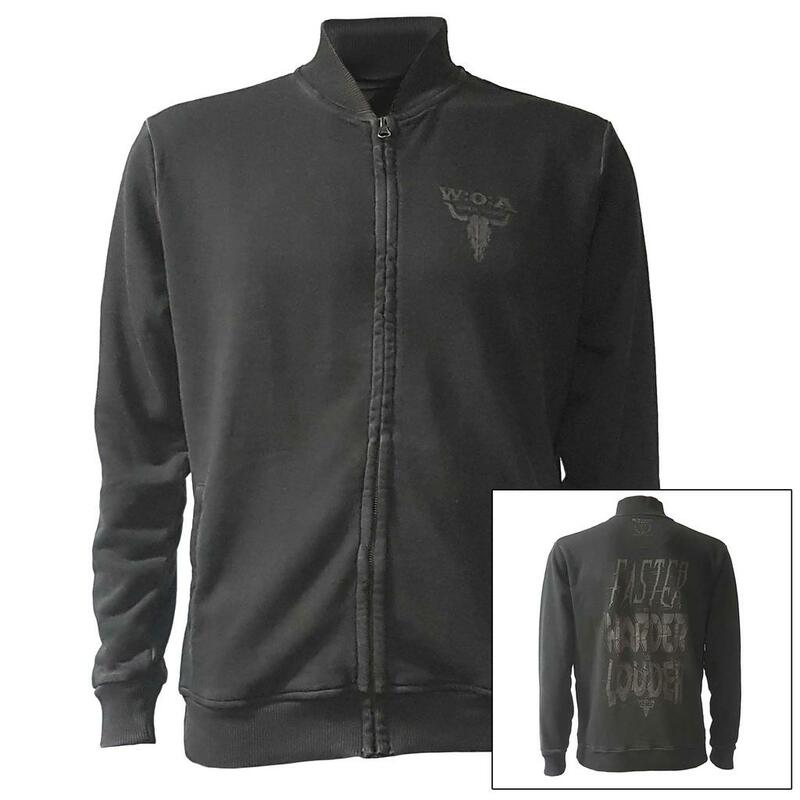 The jacket is equipped with two pockets and the Vintage effect makes it an absolute eyecatcher.